You will notice that there are two different dimensions listed on this list. All of the shorter quantity runs are produced on our copier. These are 13″x19″ with a 12″x18″ image area, so they include a .5″ white border. We do not trim this border. 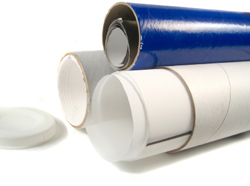 The large quantity runs are printed on our 4-color offset printing press. These are full bleed 12″x18″ posters. All of these custom posters are one sided full color run on our #100 Gloss Cover postcard paper stock.